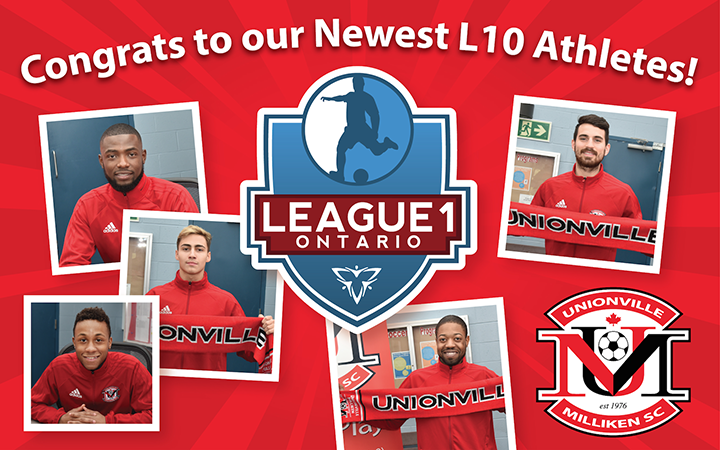 Announcing Unionville-Milliken Soccer Club's League1 Ontario First Signing for our Men's Inaugural Season! Congratulations to Strikers Joe Di Chiara, Michael Fayehun, Tre Crosby, Jalen Brome & Basel Rashrash! You are already inspiring our next generation! UMSC is especially proud to be the only club in the City of Markham that has both a Men's & a Women's League1 Ontario Teams providing a complete pathway for our elite athletes! For more information, contact Unionville Milliken's SC's Technical Director Filipe Bento at umsctrainingprograms@gmail.com.